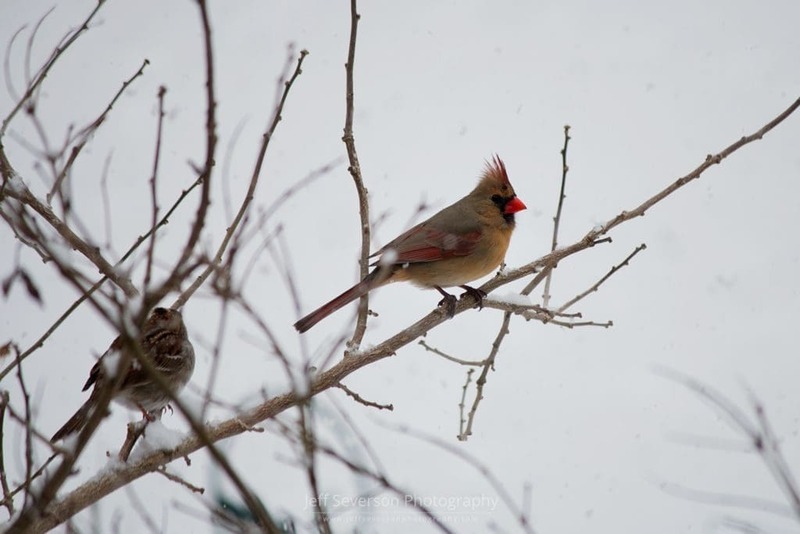 A female Northern Cardinal perched on a branch during a snow storm. The Northern Cardinal is also known as the redbird or common cardinal and can be found in Southern Canada, from Maine to Texas in the United States, and into Mexico. This photo was taken with a Canon EOS 70D at 250mm on February 12, 2017.